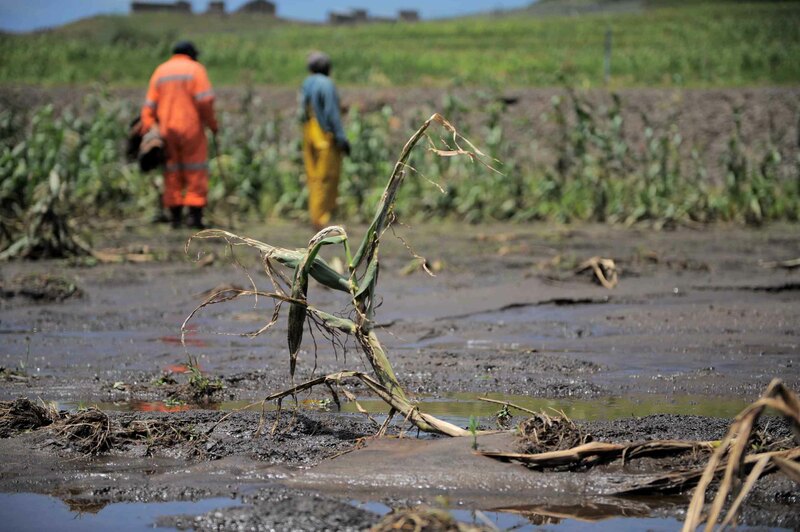 Poor farmers in developing countries often face a high risk of losing crops to drought or other weather-related disasters. Agricultural index insurance is a promising tool to transfer risks for smallholder farmers, allowing them to invest more in productive inputs and recover better in the face of shocks. However, households currently have no way to tell whether and when a contract will fail them in a time of need just by looking at its terms and cost. It can take years before a catastrophe makes the difference clear. By then it’s too late. The Regional Center for Mapping of Resources for Development (RCMRD) is partnering with the University of California, Davis (UC-Davis) to establish an agricultural index insurance quality certification in Kenya and neighbouring coountries. In mid February, stakeholders held a meeting whose objective was to engage the Ministry of Finance in Uganda and government and insurance stakeholders in the region (Uganda, Ghana, Kenya, Mozambique, Zambia); to discuss the roles of public and private sector in the agriculture insurance. 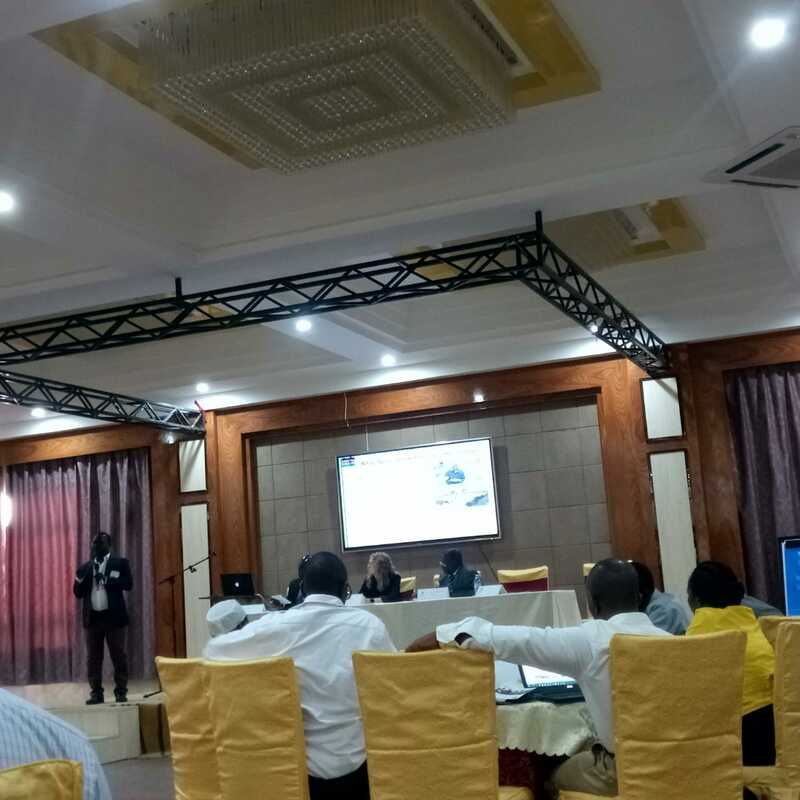 The meeting was organized by the UC-Davis team consisting of (Prof. Michael Carter, Tara Chiu and Eleanor Benami) with RCMRD participating and providing context on satellite imagery and the Centre’s role in the planned implementation of the Quality Index Insurance Certification (QUIIC). The meeting was opened by a principal economist in the Ministry of Finance – Mr. Richard Ndyanabo and Sheila Desai- who is the USAID Director for Economic Growth Office in Uganda. Day one focused on presentations from participants on their experiences implementing agricultural insurance. 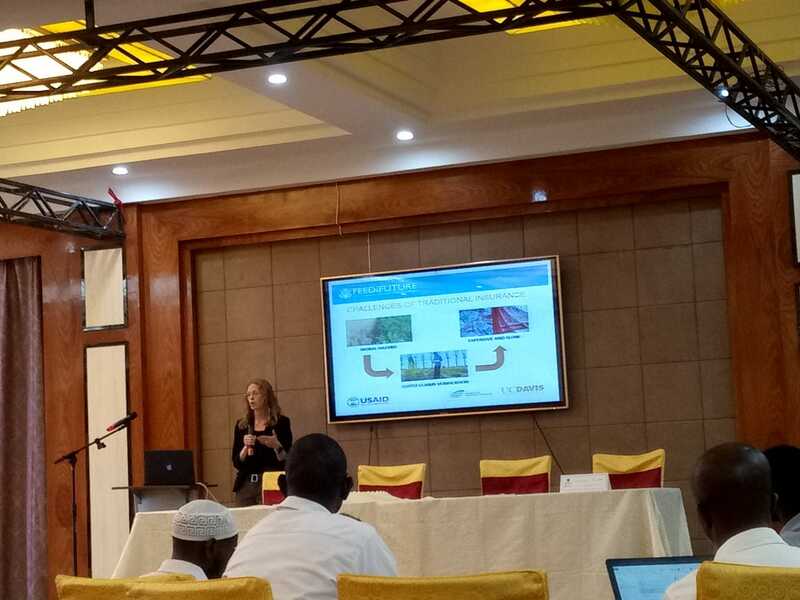 Some of the challenges identified included acquisition and synthesis of satellite data in insurance products design, the needs for capacity building and costs of data acquisition. With the growth in satellite imagery, how can the insurance providers understand if they are using the best and the right satellite data in their products design. One of the greatest challenges with agricultural insurance is if it does not work, the farmers situation is even worse since they lose their assets despite investing in insurance. Prof. Michael Carter and Tara Chiu from UC-Davis emphasized on the need for assessing the quality of the insurance products. RCMRD's Lilian Ndungu the Thematic Lead, Agriculture & Food Security provided context on RCMRD’s role as a strategically positioned Centre of excellence in geo-information and their role in the development and implementation of minimum quality standards through implementation of the QUIIC on day one. The Ministry of Agriculture representative from Kenya Mr. Tom Dienya presented on implementation of the Kenya Crop Insurance Program emphasizing the role of RCMRD in supporting the Ministry in improving agricultural monitoring and implementing the sampling frame through use of satellite derived products. Day two focused on economics of contract quality and insurance contract Design. Participants also had a chance to test a prototype for simulating the Minimum Quality Standard that is the principle behind the QUIIC. 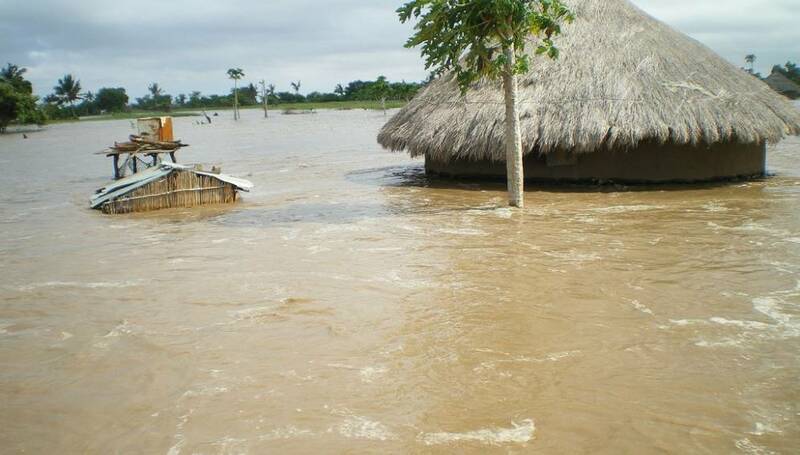 Application of the right datasets in product design is critical in the success of an insurance product in accurately triggering payouts when extreme events Occur. Ndungu presented on the current work being done by RCMRD in supporting insurance products design. The two-day meeting held on February 14 and 15 provided an avenue for further engaging stakeholders and sensitizing them on the need for quality assessments in the implementation of the insurance products through the QUIIC.